stay cool llama highlighter has a rating of 5.0 stars based on 2 reviews. 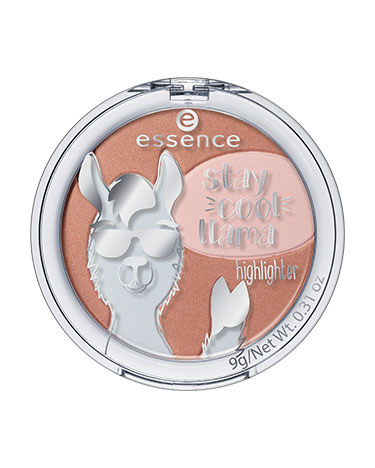 Fun factor: the cool llama highlighter unites a bronzer and two highlighter shades with a holo effect – white and pink. Applied in combination, the skin receives a gorgeous, bronze glow. And the funny llama on the packaging has got what it takes to become the trend animal of 2018.